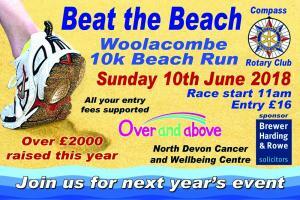 This popular annual event is raising money to support the 'Over and Above' appeal for a North Devon Cancer and Wellbeing Centre. This year's event raised nearly £1,800. 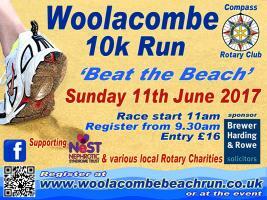 Money will be going to NEST and other #Rotary Charities. 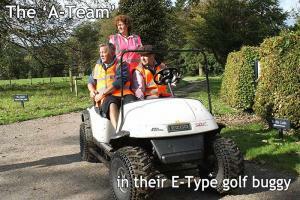 A sponsored walk and treasure hunt for people with disabilities. 16th October 2011. This year's Children in Need event saw members in 'Alice In Wonderland' costumes. 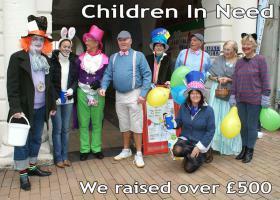 They raised over ï¿½500 in Ilfracombe High Street. 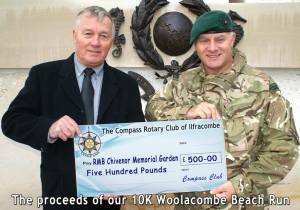 The proceeds of our first 10K Woolacombe Beach Run were presented to Lieutenant Colonel Stuart Tullock of the RMB Chivenor Memorial Garden. 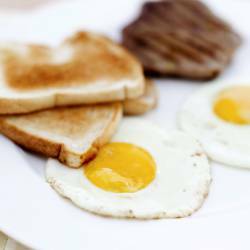 The All Day Breakfast - was held at Steve & Liz's to raise funds for N D Breast Cancer Care. There was an extensive menu prepared by BBQ's R'Us. Large numbers attended dispite the weather. Our Meet the Presidents Night on 10th July 2012 was held as a joint event with the lunchtime club - at the Lantern Centre. After some excellent entertainment by Essex Dance - we all enjoyed some excellent nosh - created by our one and only Dean. 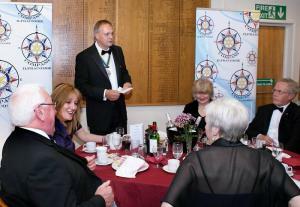 28th April 2012 saw our President's Night held at Ilfracombe Golf Club. 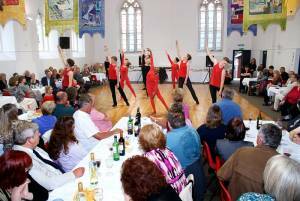 60 guests enjoyed great food, company and entertainment. 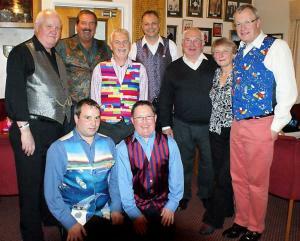 An enjoyable and flamboyant evening - where members (and partners) were invited to wear waistcoats. Guest speakers were District Governor Paul Edwards and Marathon runner Andrew Wooff. Some images of the team in action! 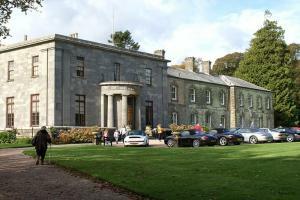 Our Charity Clay Shoot took place at the North Devon Shooting Ground on Sat 9th April 2011. Beautiful weather and first class facilities made this a great day. Over £400 was raised for Compass charities.